Bring an outsized pot of preserved water to a overboil medium-high heat. Add the food and cook in step with package directions till hard. 2 minutes before the food is prepared, add the broccoli. Meanwhile, place the Parmesan, olive oil, lemon zest, and juice in an exceedingly medium bowl and stir to mix. Reserve one cup of the food change of state liquid, then drain the food and broccoli. come back the food and broccoli to the pot. Add the Parmesan mixture and peas and toss to mix, adding the reserved change of state liquid 1/4 cup at a time as needed to moisten. style and season with salt and pepper as needed. Serve with further Parmesan. 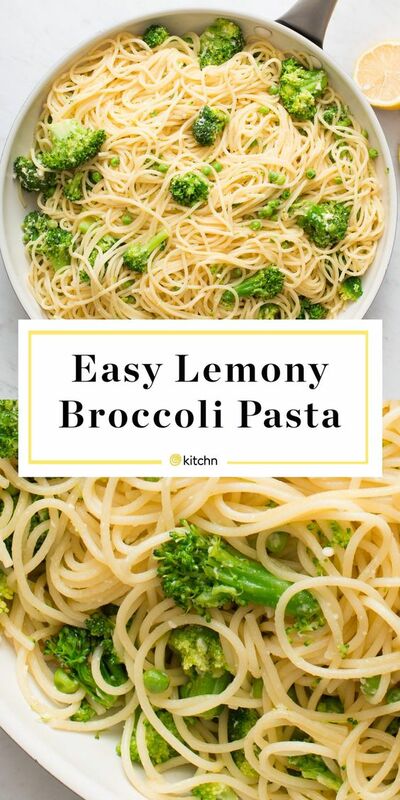 0 Response to "Lemony Broccoli Pasta"